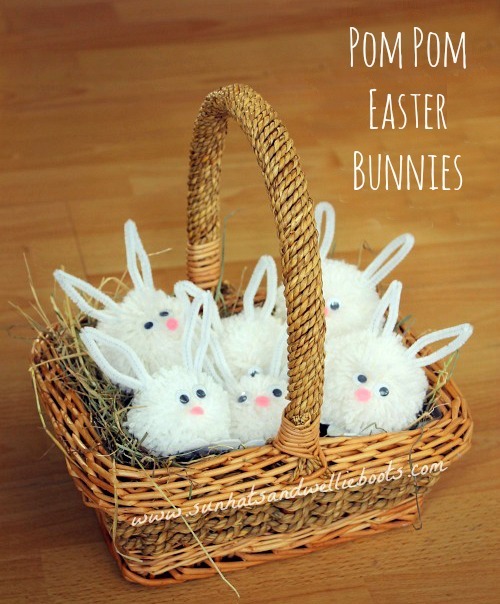 These cute pom pom bunnies have been popping up all over our home ready for Easter & the beginning of Spring. Such a simple seasonal craft for kids to create & they make the sweetest mini pets to share with friends. Here's how we made them. 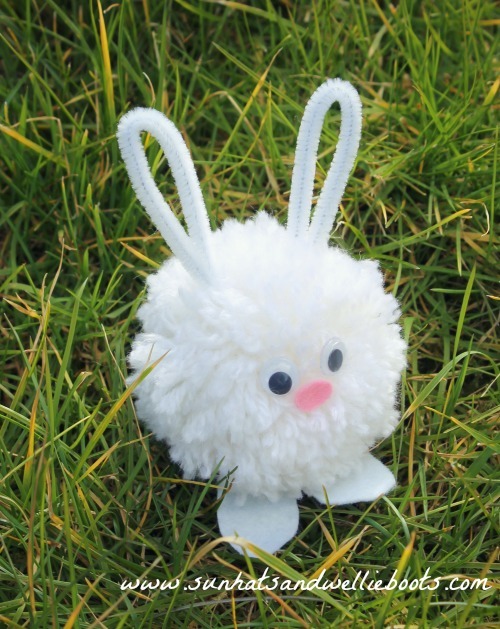 To make our fluffy Bunnies we used Pom Pom Makers like these which come in a range of sizes, normally 2-4 of them in a pack. 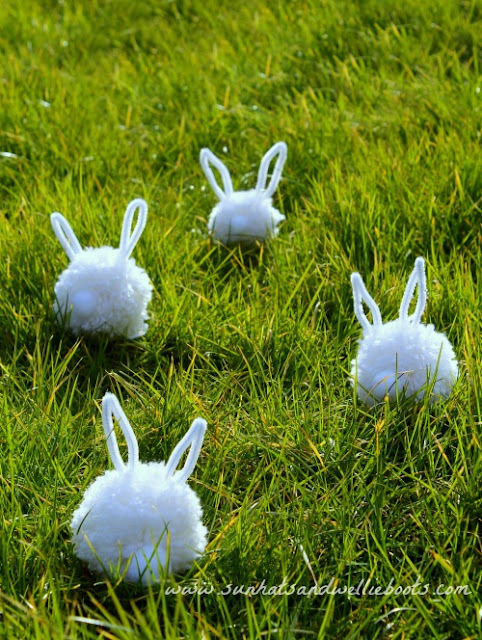 We used the large & medium Pom Pom Makers for our bunnies which were an ideal size for small hands to use, & much simpler (& quicker) than the traditional method of threading wool through card discs. 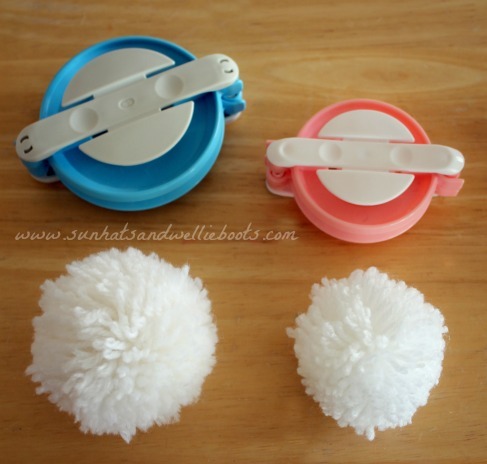 If you're not sure how to use the pom pom makers take a look at this video from Blitsy Crafts which has a helpful step by step guide. After guiding Minnie a little with the making of the first pom pom she soon got the hang of it & was able to make subsequent ones independently. Over the next few days I noticed more & more of these fluffy balls appearing, & it was clear that someone was obviously enjoying making them. We used a soft white yarn to make them but of course your bunnies could be any colour, or even a mixture of colours. 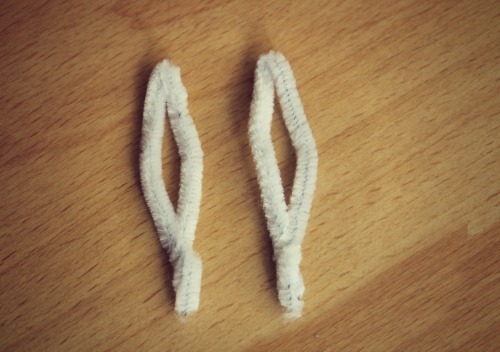 To make our bunny ears we cut a pipe cleaner in half & then moulded each section into a long ear shape securing the ends together. 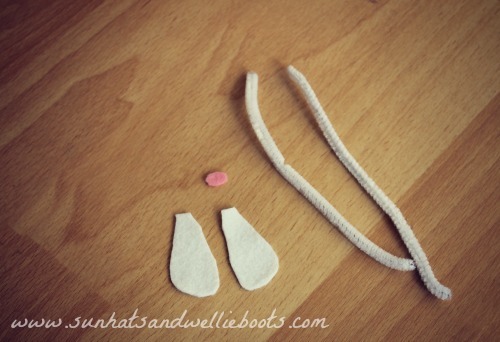 For the feet we used white felt & a small circle of pink felt for the nose. Make sure you keep an eye on these bunnies, as I said, once you've made one then more tend to pop up very quickly! To keep our Easter Bunny pets safe we added them to a basket which quickly became their 'home' & straw was added to keep them warm. Each was given a name & soon they were having their own adventures around the house & garden. 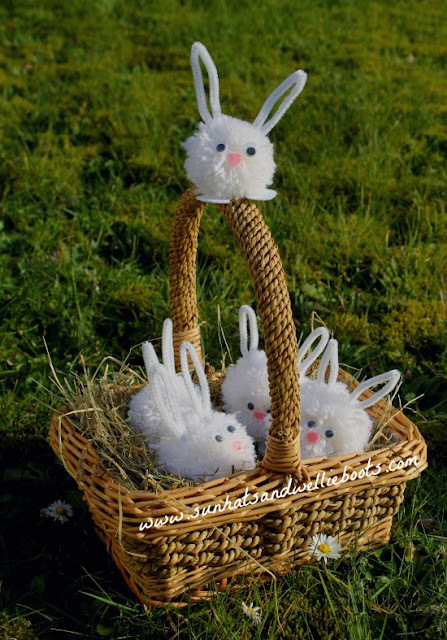 These super soft bunnies would be a sweet surprise to discover on Easter Day, or a fun little gift to share with friends. They're perfect for inspiring some imaginative & creative play, & the process of making them encourages a range of motor skills. Whether your Pom Pom Easter Bunnies stay with you or they hop off to someone else's home, I hope they bring as much joy, fun & wonder as our little bunny pets have to our pad.